I finally started putting books up on Smashwords, and hopefully that means they will be available elsewhere. To celebrate you can get “Flight of the Griffins” at 50% of this coupon: GJ84D , or “Osiren’s Tears” with this one: CD56X . This weekend I should also have “Small Bites: the Complete Collection” on Amazon count down. It will go from 99 cents, up to the whole price of $3.99 the weekend. Keep an eye out for that. I will try to announce it on Twitter. 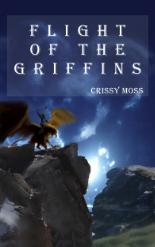 “Flight of the Griffins” and “Osiren’s Tears” are both novella length fantasy books. 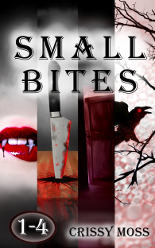 Small bites is a an anthology of twelve short stories. All of the books are between 10 and 30 thousand words, with lots of magic, sword fights, and unusual circumstances. Now… I am going to go sit down and write gosh darn it!